I've had a fairly unfortunate spell lately. I wouldn't mind so much if (a) My mates weren't catching fish all over the place and (b) I hadn't been taking my grandson Ben fishing while he was having a few days at our house. We 'almost' caught some good thinlips on the baited spinners and we 'almost' caught a fair sized salmon that fought like stink and then wrapped the line round a submerged tree before escaping. On the credit side we did catch some nice corkwing wrasse on ragworms with a view to using them as wobbled bass baits when the chance arises. Anyway, I did have a trip with my pals Ben (not the grandson), Richard and Phil one morning last week. We started off fishing, as it got light, in a little bay. 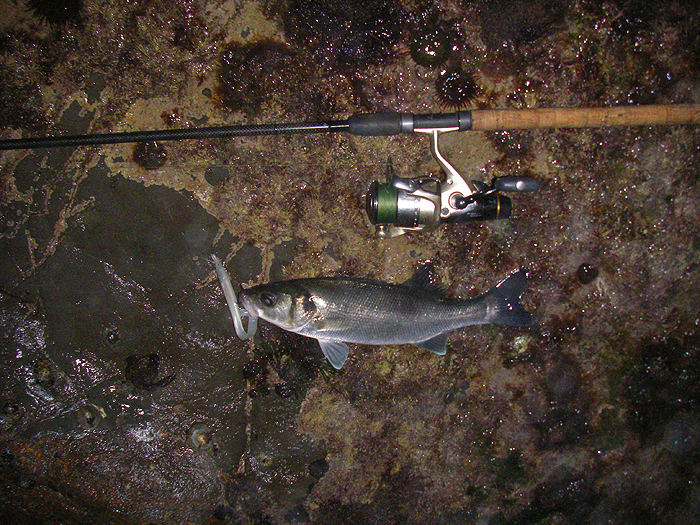 Ben soon had a small bass on an 18cm Redgill and the lads had a few more bites that they didn't contact. I was trying out some recently constructed 'buzz baits' that I'm hoping might produce a few bass when conditions are weedy. One is an 'in-line' version and the other is the typical 'offset' style used in the USA. They both fish pretty weedless (the blade seems to push weed away) so at least that aspect works but on this occasion I had no bites. 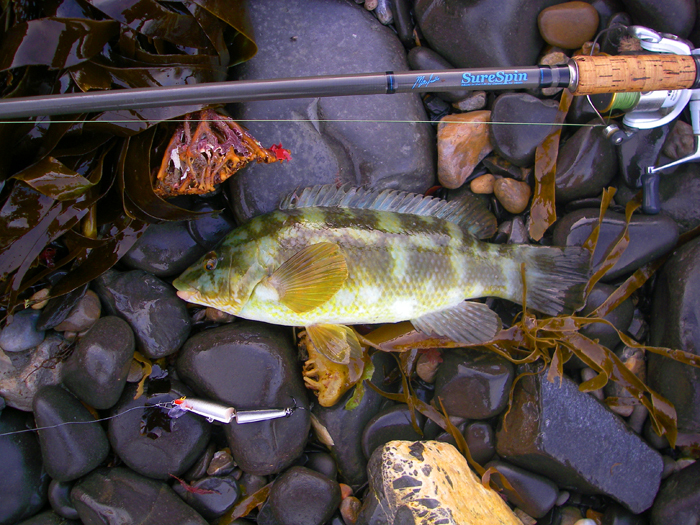 After a while we moved on to try fishing from a rocky ledge and I decided to leave the others to it and to try and catch a wrasse by fishing a weedy corner with a J11 Rapala. 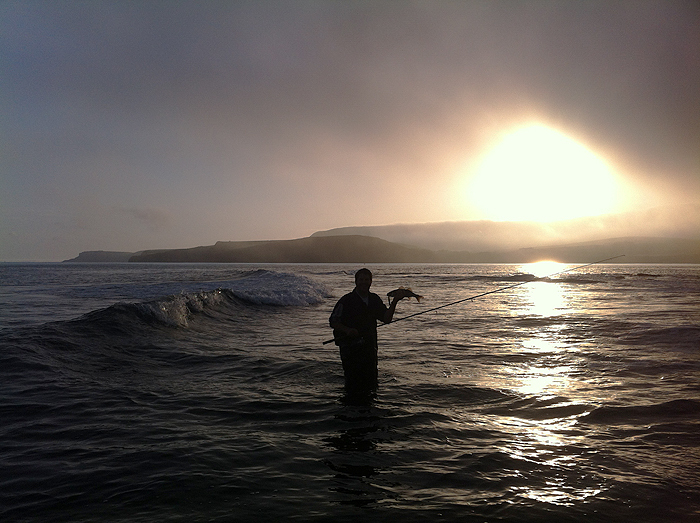 It wasn't spectacular sport but the lads each had a bass from the surf while I managed a reasonable wrasse on my plug - could have been worse. At least the plug did what I expected and the wrasse put up a decent fight before I could bring it ashore to have its picture taken. 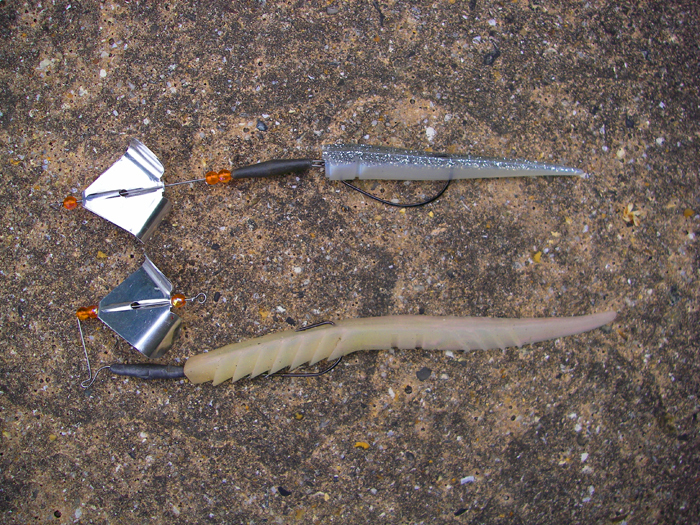 Can't wait for some weedy, murky conditions to give the buzz baits a proper try.